This tour arrives/departs from Dublin but these arrival/departure points can be customised to include other airports such as Shannon. The accommodation for this tour is set and below you can find details on the four accommodations where you will be spending your over nights. The Shelbourne Hotel invites you to experience an unique hospitality, where your comfort and satisfaction are their priority. We are happy to present to you the extraordinary beauty and excellence of our hotel and its unique importance in the city of Dublin. 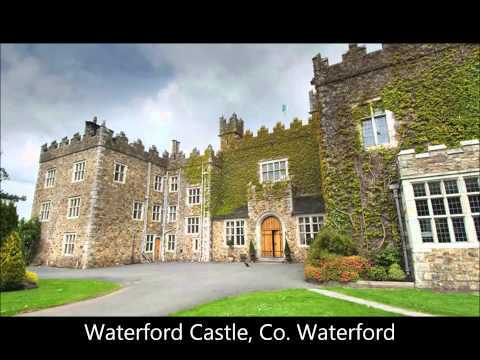 Hayfield Manor 5 Star Hotel Cork is a family family owned, luxury boutique hotel, where the owners believe that a visit is an experience in itself. Discreetly nestled with beautiful walled gardens, discover a delightful oasis in the vibrant city of Cork South West Ireland. Whether you are visiting on leisure or business, your hosts at Hayfield Manor will take care of every detail for you. Ballynahinch Castle Hotel is an intimate 4 star hotel set in 450 acres of woodlands, rivers and walks in the heart of Connemara. It stands proud and majestic overlooking the famous Ballynahinch Salmon River, whilst being surrounded the splendour of the Twelve Bens Mountain Range. It stands proud and majestic overlooking the famous Ballynahinch Salmon River, whilst being surrounded the splendour of the Twelve Bens Mountain Range. Add the attractions and destinations that interest you and either save them as notes or send them to us.